Weekend Historical Happenings: 8/31/13 - 9/1/13 ~ The History Girl! Mysteries of History: Let's Have a Cookout! 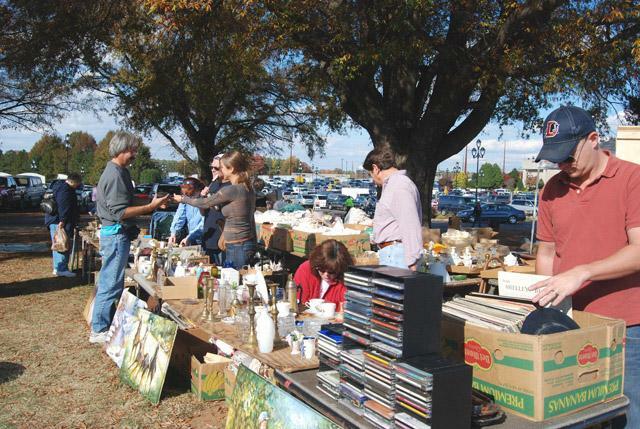 The Tewksbury Historical Society is hosting its 19th annual Flea Market, which is one of their main fundraisers, on Saturday from 8:00 am - 3:00 pm in the farm field located one half mile north of the village of Oldwick on County Route 517. The rain date will be Sunday, September 1st . There will be 111 vendors in attendance. Last year saw over 1,200 shoppers in attendance. There will be a $1 per car suggested donation to enter. Vendors will display old and new items of all types including antiques, toys and collectibles, farm fresh produce, household items, and more. The Pottersville Volunteer Fire Company will be serving breakfast and lunch to benefit their operations. Early birds can gain admission from 7:00 - 8:00 am at a cost of $10 per person, payable at the gate. Early Birds should enter the site via Homestead Road. The Tewksbury Historical Society booth has an eclectic mix of multiple items, all donated by Society members and residents of Tewksbury. All proceeds benefit the Society's building fund. The Tewksbury Flea Market is easily accessible off exit 24 on Interstate 78. Following the signs for Oldwick/County Route 523/517 north or from Route 206 from Chester. For more information, contact the Tewksbury Historical Society at 908-832-6734 or www.tewksburyhistory.net. Celebrate Labor Day with your family and friends at the Ocean County Historical Society's Antiques and Collectibles Faire on Saturday on the grounds surrounding the museum on 26 Hadley Avenue and the Ocean County Parking Garage on Madison Avenue in Toms River, NJ from 9:00 am - 4:00 pm. Join the fun as you shop for antiques and collectibles as well as items crafted by a local wool spinner, basket maker, and decoy carver. Buy a 50-50 raffle ticket sponsored by OCHS. Howell Living History Farm will hold its 30th Annual Plowing Match on Saturday from 9:30 am - 4:00 pm. The public is invited to watch and participate in the event, which features old-fashioned plowing and log pulling competitions, a craft and pony rides for children, and lots of food, music and old fashioned fun. A dozen teams of draft animals from New Jersey, Pennsylvania, and New York are entered in the match, which tests the performance of farmers, their horses and oxen, and their plows as they turn furrows. Judging will take place from 10:00 am - 12:00 noon. Winners of the Fine Plowing Class will receive trophies, ribbons, and cash prizes. Members of the general public aged 16 and older can try their hand at plowing in the Visitor Plowing Events at 11:00 am. Ox Plowing and Steam Engine Plowing will take place at 10:30 am. Winners receive ribbons. Children's activities will be offered from 11:00 am - 3:00 pm, including pony rides and a craft program, "Horse Nail Wind Chime." Craft program cost $3. Sheep, chickens and pigs can be seen in the farmyard area all day. Beginning at 12:00 noon, hungry plowers and visitors can lunch on roast pork sandwiches, a chicken BBQ, Kosher franks, and Howell Farm potatoes and sweet corn. Noontime festivities will include music by the Jugtown Mountain String Band, door prizes, and plowing award presentations. At 2:15 pm, visitors can watch as teamsters use their animals to navigate an obstacle course. Cash prizes for professional classes are furnished by the Friends of Howell Farm, and made possible through donations from Janssen Pharmaceutica of Hopewell Township, Trap Rock Industries of Kingston and J. & G. Conard of Flemington. Rain date is September 7. Two days of family-friendly, interactive and educational fun are planned for Historic Cold Spring Village’s ‘FunFest Weekend,’ Saturday and Sunday, from 10:00 am - 4:30 pm. Children will be given a ‘Pastport’ at the start of their Village trip, which can be stamped at the buildings they visit after completing a take-home craft or activity, like writing with a quill pen, carding wool or making a pinch pot. Pastports can be redeemed at the Country Store for a free treat! The Family Activity Area will feature children’s dress-up clothes, historic games, and take-home crafts. Other family-friendly activities include free toy train rides, face painting, demonstrations by the New Jersey Blacksmith Association and live entertainment from Jim the Banjo Man. This jam-packed family-fun weekend event is sponsored by Crest Savings Bank. Historic Cold Spring Village is located at 720 Route 9, three miles north of Cape May City and four miles south of Rio Grande. Admission during the season is $10 for adults and $8 for children ages 3 to 12. Children under 3 are admitted free. Unlimited free admission is available with Village membership. As a member of the national Blue Star Museums program, Historic Cold Spring Village is proud to offer free admission to active duty military personnel and up to 5 family members. The Village Nature Trail at Bradner's Run is open to the public for free self-guided tours. For more information, call 609-898-2300, ext. 18 or visit www.hcsv.org. 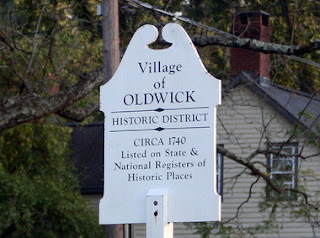 On Saturday beginning at 9:00 am, The Friends of Old Swack Church and cemetery grounds in Lebanon Township are sponsoring a cleanup of the grounds. Originally built in 1844, the church closed in 1894 and the grounds have been neglected, abandoned, and overgrown for years. Beginning in early 2013, the Friends of Old Swackhammer Church have been cleaning the grounds. This end-of-summer cleanup will involve weed whacking, raking, cutting down the tree saplings that have grown over the summer, and putting down weed killer. The Old Swackhammer Church and Cemetery is located at 108 Anthony Road, Lebanon, NJ. Please bring weed whackers, rakes, shovels, gloves, clippers, and any other tools that you think may be helpful in clearing the grounds. Tell your friends and family about this opportunity to preserve a New Jersey historic site!